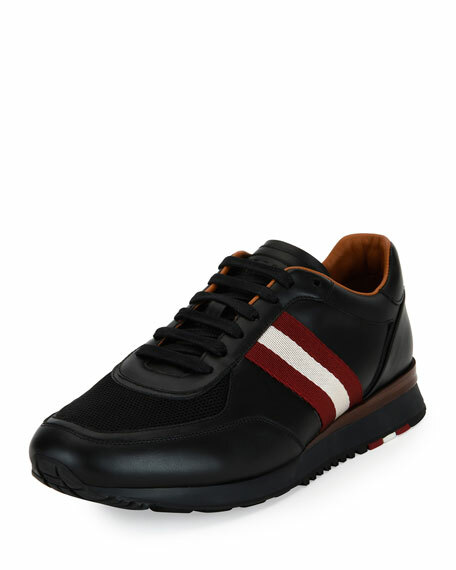 Lanvin running sneaker in leather with mesh overlay. 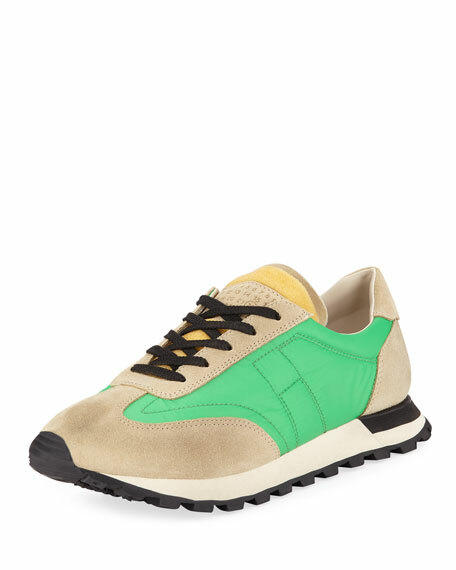 Padded textile tongue and collar. For in-store inquiries, use sku #2410993. 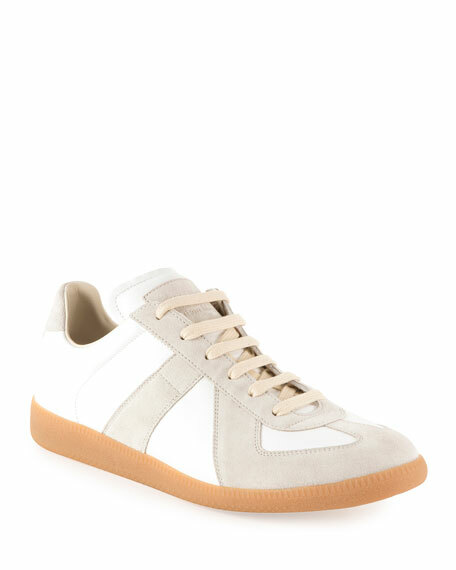 Maison Margiela dirty treatment training sneaker in nylon, suede, and calf leather. Round toe. Lace-up front. Logo-embossed tongue. Padded collar. 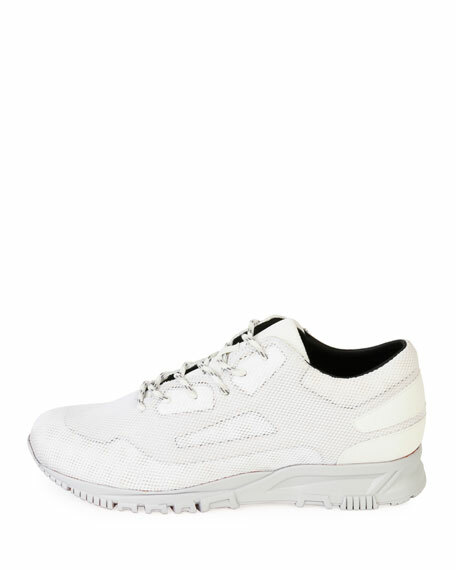 Maison Margiela signature white stitched label detail on heel counter. Leather lining. 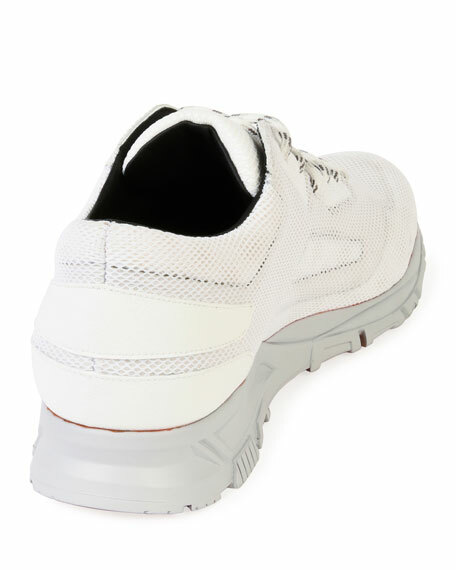 Rubber outsole for traction. Made in Italy. 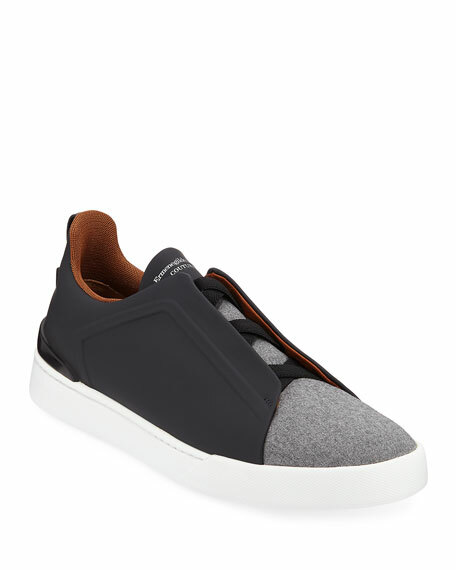 Maison Margiela low-top sneaker in leather and suede. Round toe. Lace-up front. Logo label at tongue. Padded collar. Maison Margiela signature white stitched label detail on heel counter. Leather lining. Rubber outsole. "Replica" is made in Italy.